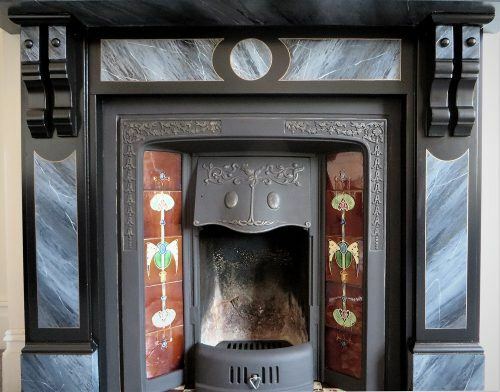 This article is about a Faux Marble Fire Surround in Milton Keynes. 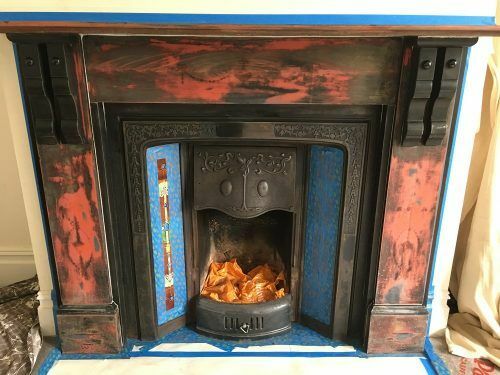 Lee Simone spends most of his time hand painting kitchens around Yorkshire, but has specialised in this line of decorative work for many years. 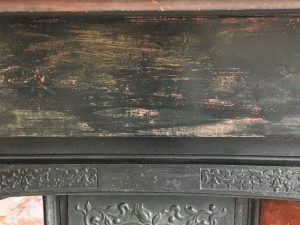 After reading the article, I think you will agree, the art of making wood look like stone with paint is still alive and well. 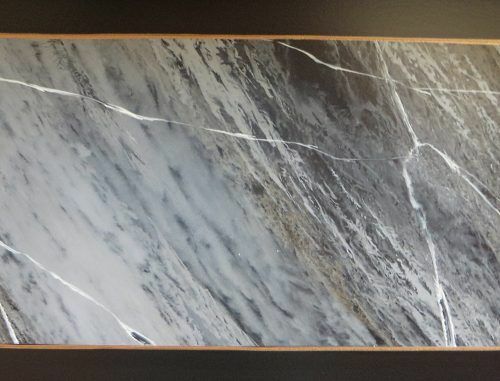 This was the first of two faux marble projects I undertook for a couple near Milton Keynes. Travelling down from Yorkshire, I stayed for 7 nights in a self catering cottage, an option I’ve found to be a lot easier and more cost effective than staying in hotels and having meals out. 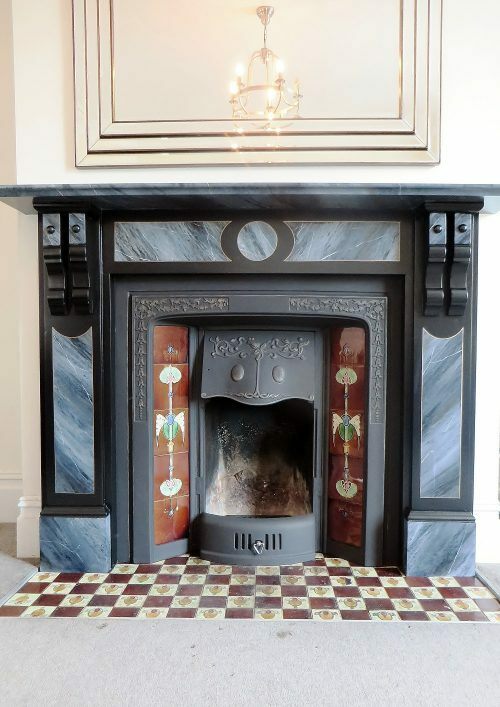 Both of the projects involved restoring and faux marbling original Victorian fire surrounds, each of which was in a bad state of disrepair. 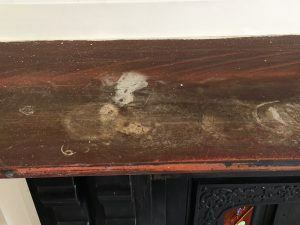 This particular fire surround was in their lounge and over the years had clearly had quite a life! Although all of the original tiles were still mainly intact, the surround itself was very battered and worn. 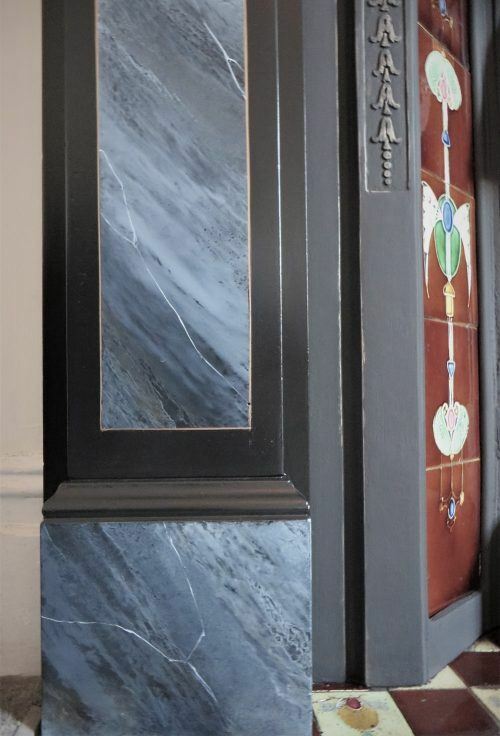 This project was going to involve a lot of hard preparation work but I absolutely love faux marble painting. I knew it would be one of the most rewarding to date. 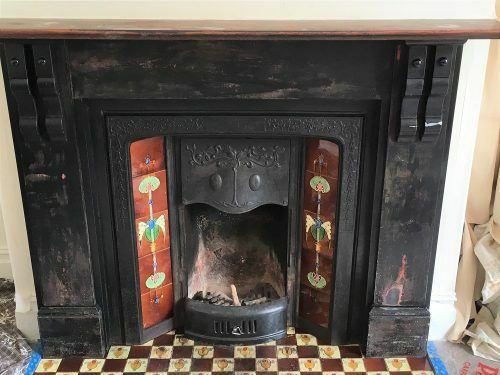 When you looked closely at the original finish you could see a variety of colours peaking through, each hinting at a different look or effect applied down the years. When faced with a project like this, it’s best to break it down into stages and take into account the length of time each stage is probably going to take. Just as important is accounting for the drying times of the paint products you are using. As with any project, preparation was going to be the key with this one. I started by masking off the carpet with Packexe and the tiles with low tack tape. I then moved onto the cleaning and had to remove all the soot and grime that had accumulated over a 100 plus years of use. Let’s just say there were a lot of buckets of water, dozens of cloths and much Krud Kutter used. Once cleaned it was onto the sanding and boy, did that reveal glimpses of what had come before. 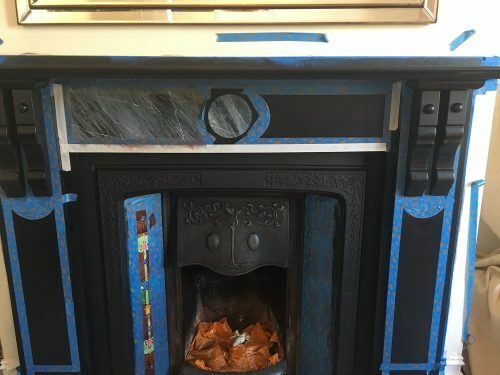 Slowly but surely I revealed layer upon layer of different effects and colours; from faux wood and faux marble finishes to blue, green, black and red paint. 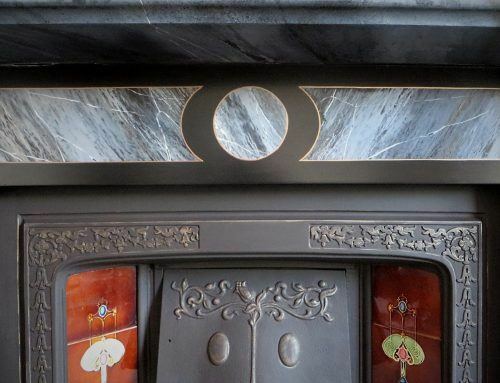 It also revealed that the mantel piece was actually wood, not slate like the rest of the surround. Perhaps at some point it had been replaced when a mirror had dropped on it, we will probably never know. One thing was certain though, this poor surround needed some serious TLC to once again make it the proud focal point of this room. It was thoroughly sanded till all bumps, lumps and flaking paint had been removed and made silky smooth. I then applied the first of two coats of Zinsser B-I-N shellac based primer, sanding between coats. After filling and caulking various areas that needed attention, I applied two coats of my top coat paint. 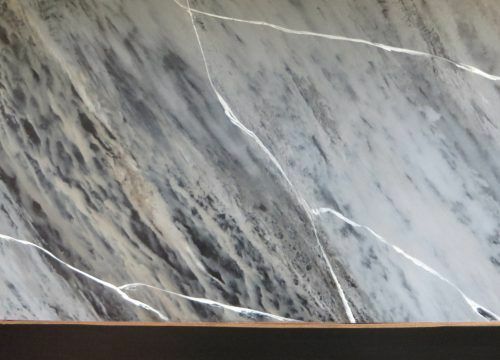 This would essentially become the base of faux marble finish. I used Empire tinted in deep black. 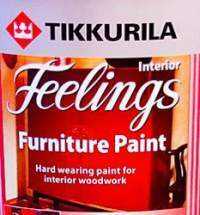 Empire is a thixotropic alkyd paint from Finish manufacturer Tikkurila and a lovely paint to use. It’s also entirely non permeable which is an important trait for a base coat when oil glazes and specialist paint effects are involved. Once I had achieved a perfectly smooth, brush mark free black base, I set about masking off the panels ready for marbling. To create the first layer of the faux marble effect I applied the mixed glazes using a variety of tools, brushes, cloths and feathers. 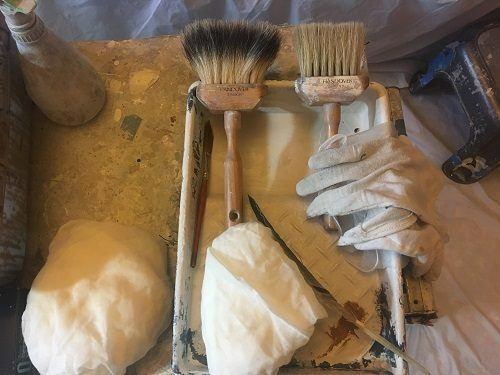 I then repeated the process, steadily building up the patination, colour and veining to give depth and make the effect look as realistic as possible. 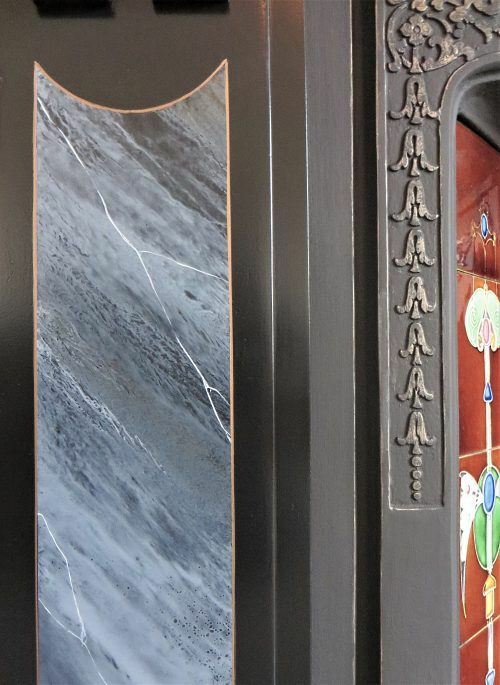 Once I had finished the marble effect I added a bronze line around each panel. I also brought out some of the hood detailing with a hint of the same colour. This was all planned so as to compliment the tile colour and the small amounts of burnt umber I had used to warm up the colour in the marble. Thanks for reading this blog. I have covered many other faux finish painting projects on my website. Lee’s work and reviews can also be found on his Traditional Painter profile page. TP has been an invitation-only network since 2011 and Lee is one of the longest standing members. 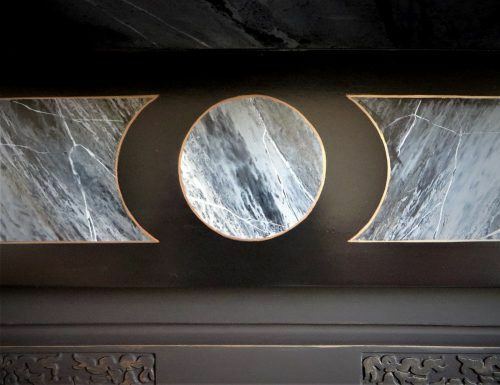 If you are in the South East, Traditional Painter members Nicola Larsen in Surrey and Lorna Roughneen in East London / Essex also have impressive portfolios of specialist decorative finishes. 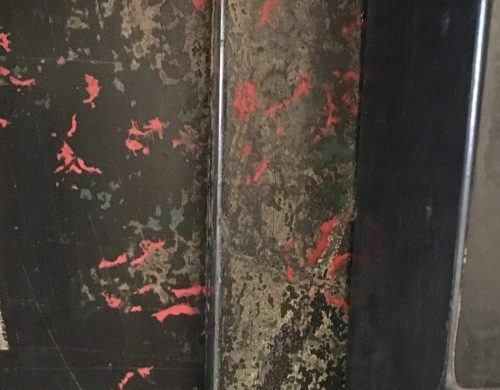 Paintwork emulating marble, wood grain, leather, three of many ways to add an extra touch to architectural details to trick the eye. 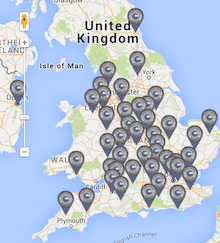 More ideas to come from around the country.